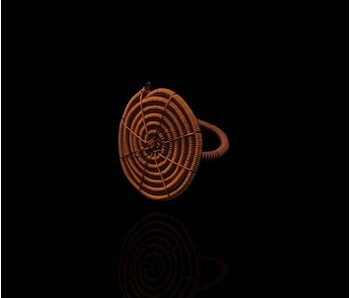 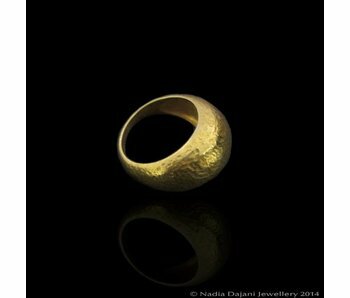 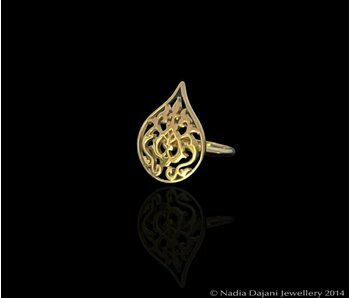 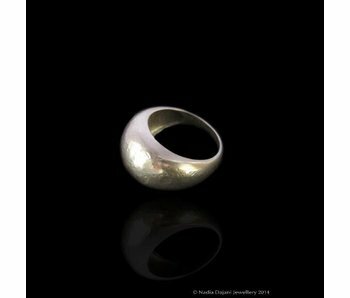 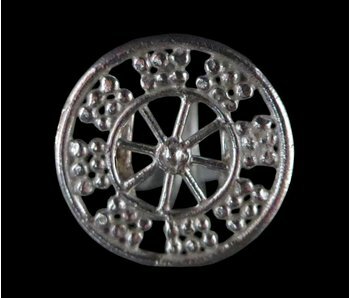 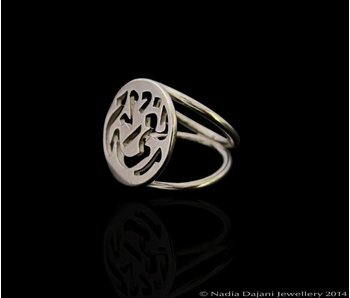 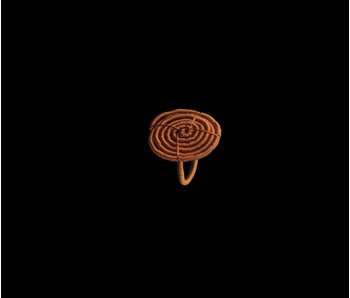 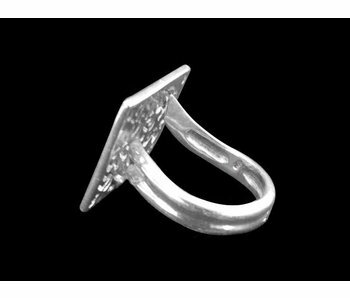 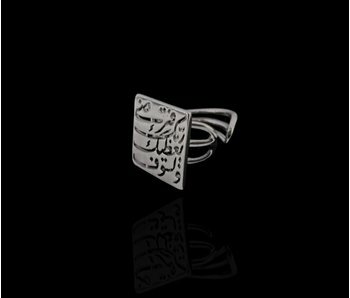 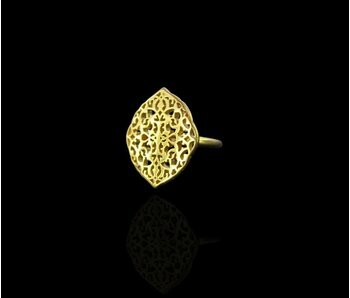 Circular wheel motif ring, inspired by the Assyrian wheel of Fortune. 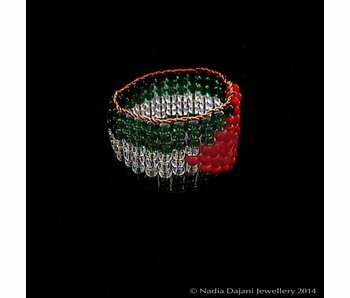 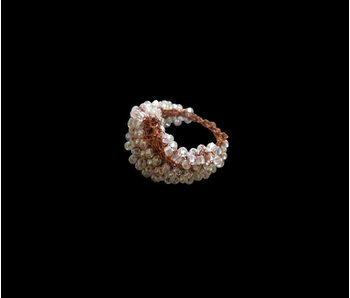 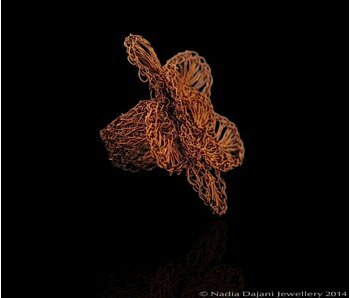 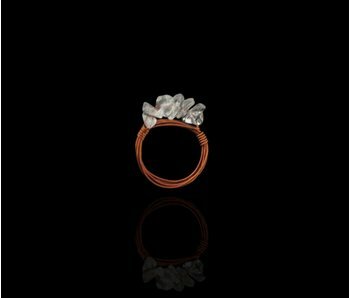 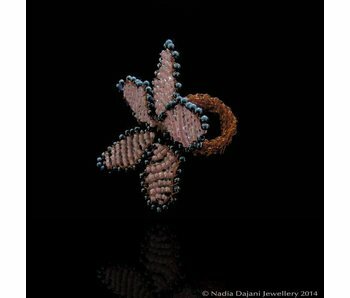 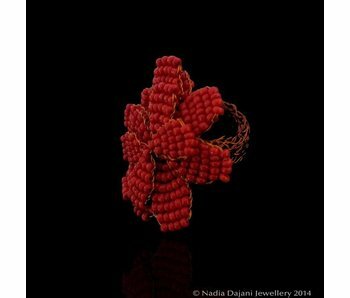 Flower ring made from very delicate beadwork using thin copper wire and tiny glass beads. 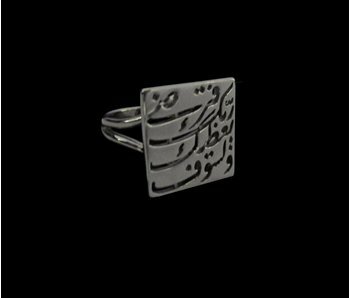 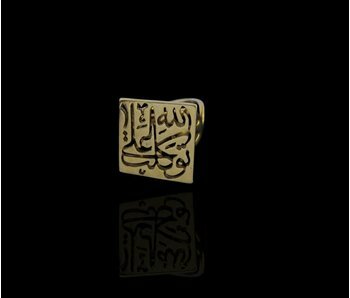 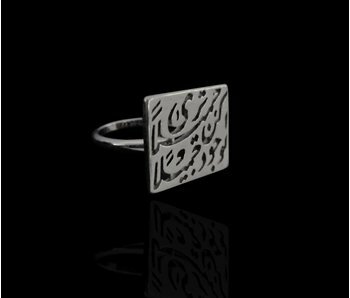 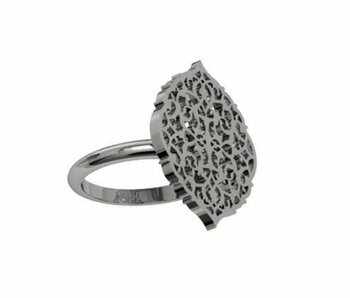 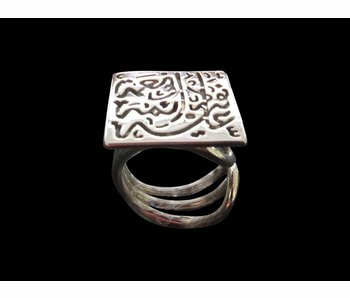 Silver ring with floral arabesque motif.